If the sun is out and it's over 70 degrees, you can bet Lake Lanier has boats on it and people in it. A popular summertime destination with a resort on one end and a dam on the other, Lake Sidney Lanier is a north Georgia favorite. I have spent many days enjoying the lake without knowing much about it. 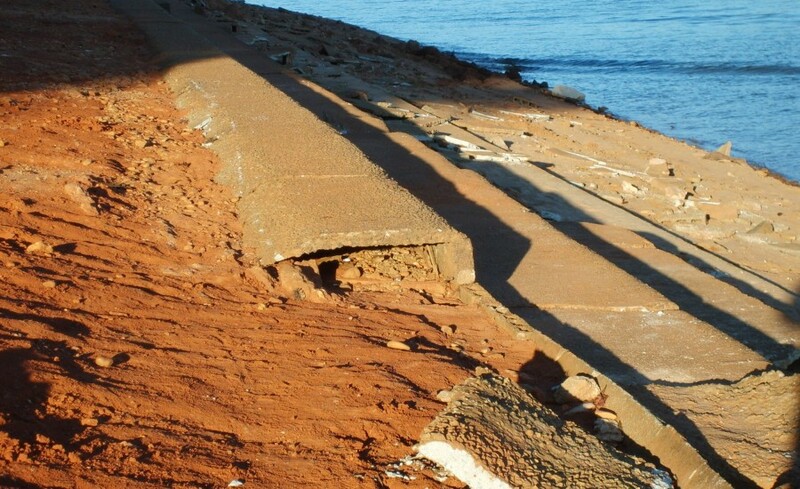 So, the Army Corps of Engineers directed me to the man who knows it all. David Coughlin wrote "Lake Sidney Lanier: A Storybook Site," which is about to hit the printers again for the sixth time. He gave me a basic version of the Lake's history. "It was designed, developed and constructed by the U.S. Army Corps of Engineers as part of a wider river development that was taking place after the second World War," said Coughlin. "It's one of five other works projects on the Chattahoochee River, and it was the second one constructed." Coughlin said Buford dam, and subsequently the lake, was built for several reasons, including flood protection, navigation, power production, wildlife refuge, and recreation, to name a few. Construction began in 1950. "They worked on it until 1959 or 1960, but started impounding the water in 1957.... and reached full pool for the first time in May of '59." The lake was named after Sidney Lanier, a local poet who served the Confederacy in the Civil War. "When they were getting around to naming it... I saw a letter, and I didn't put it in the book but, it's from the Sons of the Confederate Veterans, requesting that it be named after Sidney Lanier, because he was a Civil War veteran, fought for the South, but he was a poet and lecturer." Lanier died at 39 after contracting tuberculosis during the war, and was buried in Baltimore. But before all that, he wrote "The Song of the Chattahoochee" which just happens to be in the public domain. "It describes how the river runs from North Georgia all the way down to the Gulf of Mexico." Now, as drought struck Georgia in 2007, the waters of Lanier started to drop, and eventually, the grandstands of the old Looper Speedway peaked out of the water near Laurel Park, reminding a new generation that at one point, Lanier was land. "There's a myth about there being towns located [underneath] - because they used the word community. When we think 'community,' we think sometimes of larger towns or cities. But back then, communities for them, it was mostly farming communities. They were connected by Mom-n-Pop grocery stores that sold dry goods, things of that nature. But there were no large cities underneath Lanier." "There are buildings, that divers have probably seen, foundations of buildings, things that wouldn't float. If they were in deep enough water, they could have left them, but anything else they had to remove." So, as cool as it would be to have a small Atlantis underneath our favorite lake, that's not necessarily the case. "No large cities. That's actually one of the reasons they chose the site. Roswell was the original site for the dam," Coughlin said. He said the Roswell location was a narrow spot, near where Highway 400 meets the Hooch. However, the North Georgia location ended up being a better, more narrow spot for the dam, with less relocation costs. "And, moving the dam farther north, you get to take advantage of the part of the state that gets the most rain." My full interview with David Coughlin is linked above. Give it a listen! 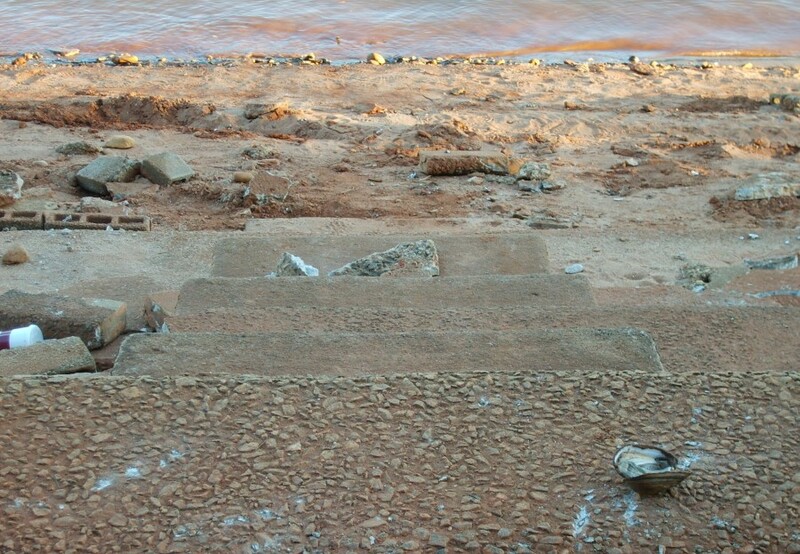 Another facet of Lake Lanier that edges on the eerie is the "Lady in the Lake." Susie Roberts and Delia Mae Parker Young were driving home after a night out and Susie lost control of the car, meeting her fate in the depths of the water. While Young's body was recovered shortly after the crash, Robert's vehicle was undiscovered until the 1990's, and her identity was confirmed when workers found the vehicle while trying to lay a new bridge. There's also the legend of the giant catfish. Supposedly, a chicken truck overturned on Thompson Bridge decades ago into the lake, and when divers went to investigate, they met a catfish eating the wet chickens whole. Watch your toes, kids. 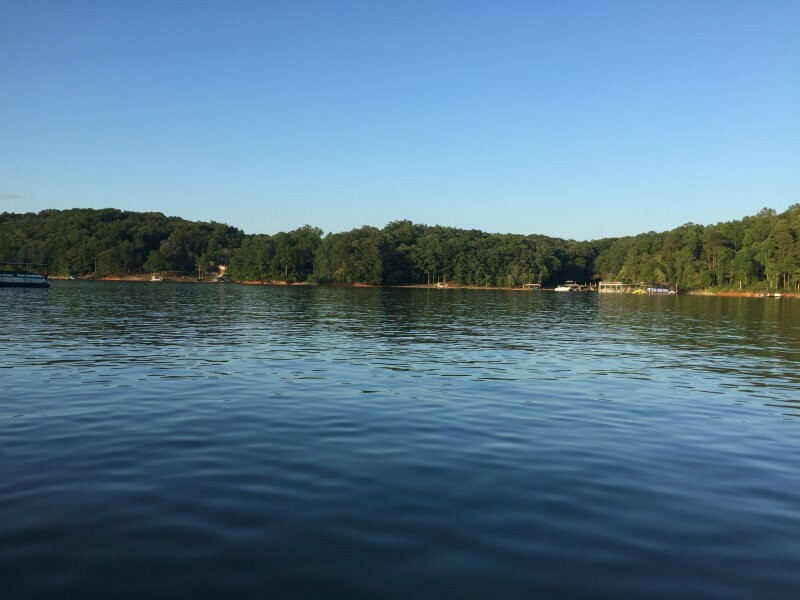 If you'd like to have a little fun on the Lake, consider Lake Lanier Islands for something more structured, or find a friend with a boat. 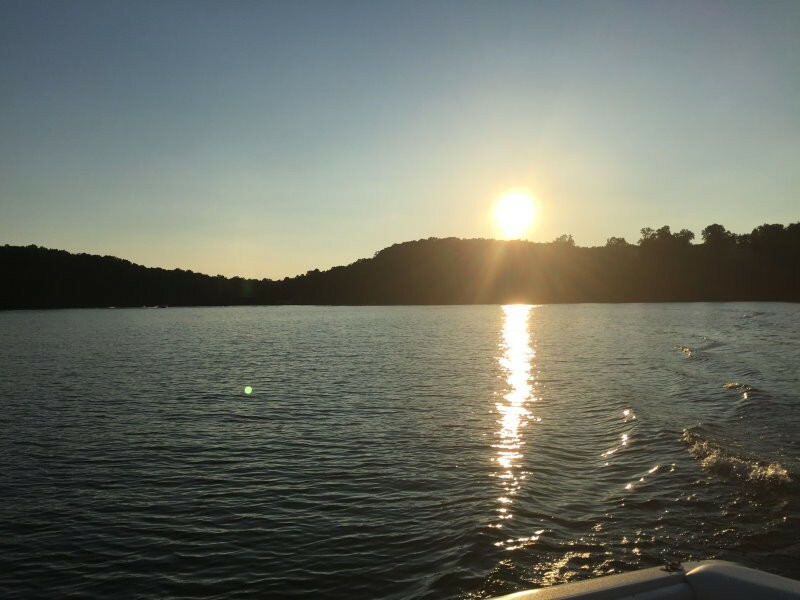 There are plenty of ways to get on or near Lanier, so check here to find the best place to explore. Be sure to join me next week, as I head out on the open road to Cleveland, home of Babyland General Hospital. If you didn't live through the 80's (or didn't grow up around other children or toy stores), Babyland General is where Cabbage Patch Kids are born. The little dolls have brought 30 years of tourism to Cleveland, and a new "hospital" opened recently, relocating from a small house-sized office to a beautiful mansion. This feature article merely graces the shallow waters of Lake Lanier, the true stories about Lanier are up to you. The comments made in this feature article, by myself and by those who have been mentioned, do not necessarily reflect the opinions of Jacobs Media Corporation. Read, enjoy and explore at your own risk - and don't forget to wear your life jacket! A photo from the drought in the AccessWDUN archives.